Why does everyone love ninjas so much? They are ruthless. They kill whatever they want for their own gain. But why does everyone seem to look at them as the good guys? “They were rebels against the system” yeah, yeah, cool, cool. But most of them were dirty rapists, thieves, and they terrorized people. Samurais, on the other hand, go by a code of honor; they don’t fight a man who does not have a weapon; they don’t kill women or children; they are just gentlemen with swords and the will to defend and kill. This little gem right here is all about the code of the samurai. A man who goes by the name of Ghost Dog is our hero (who knew a dead dog could bark? ), a mafia hit man who is untraceable. He talks to people through a little messenger pigeon. Years ago when Ghost Dog was of a younger age, he was ganged up on and nearly killed. A man came to save him, and now that man is his “retainer” or master. 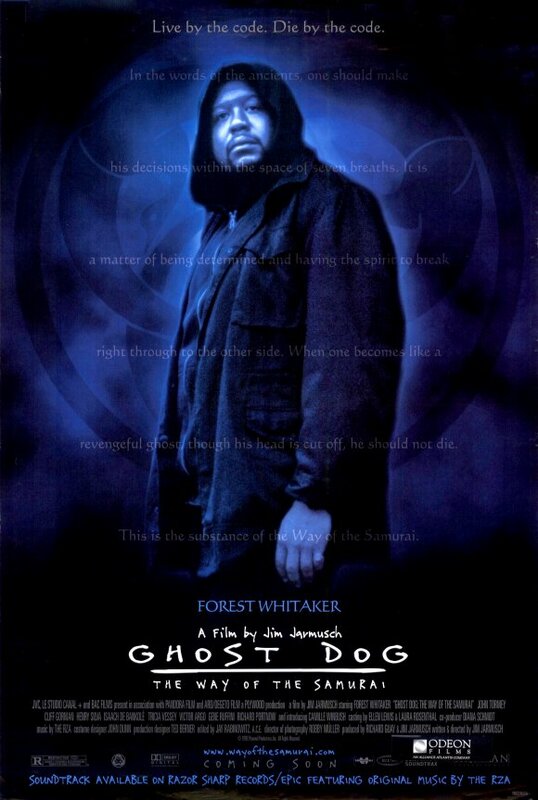 One night, Ghost Dog goes out on a hit, but it soon goes wrong. Now everyone is against him. Action packed, you ask? No, not really, it’s slow, but not boring. It reminds me a lot of Pulp Fiction, where everything these people talk about you want to hear. Don’t miss anything, while there are pointless conversations at times, they’re entertaining. Ghost Dog befriends a little girl (why do all these guys seem to make friends with the little ones?). Ghost Dog has another friend who is an ice cream man who doesn’t speak one word of English, yet they’re still friends. Most of the funny parts of the film are between them. The Ice Cream Man will say, “I bet you’re very busy.” Then Ghost Dog will say, “Sorry, I’m very busy.” It makes me giggle.